Today's Raw Organic Coconut Bar with Cacao Nibs was from Jennies Gluten Free* (Moosic, PA). 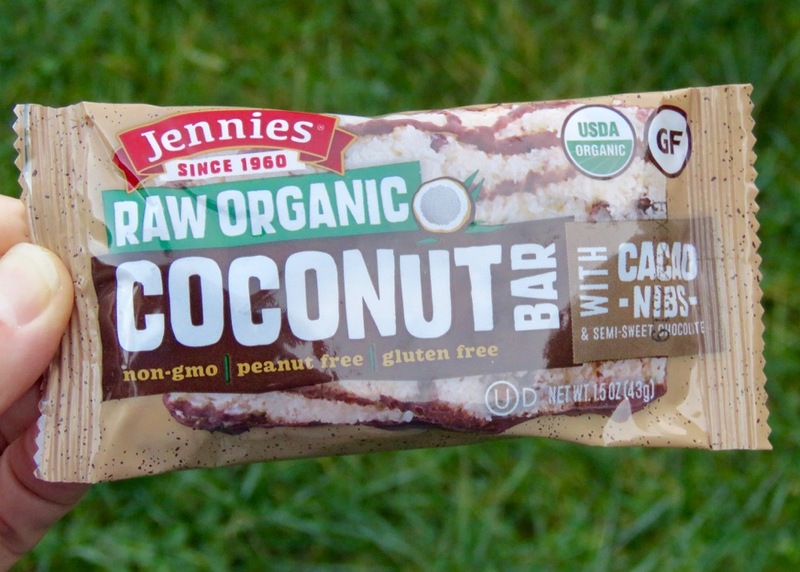 The company's Jennies Organic Coconut Products line is made with organic, sulfite-free coconut, and demonstrated how the mere macaroon can be expanded to other tasty possibilities. This bar had a soft, chewy texture and rich, coconut flavor. Traditional macaroons can be sticky sweet with corn syrup or almost prickly dry with fibrous coconut shreds. Today's bar had a balanced sweetness and texture (in the desirable middle and was not too gooey sweet or too fibrous). A delicate hint of vanilla (extract) and sea salt provided a natural lift that complemented the sweetness. The underside of the bar was comprised of a layer semi-sweet chocolate. 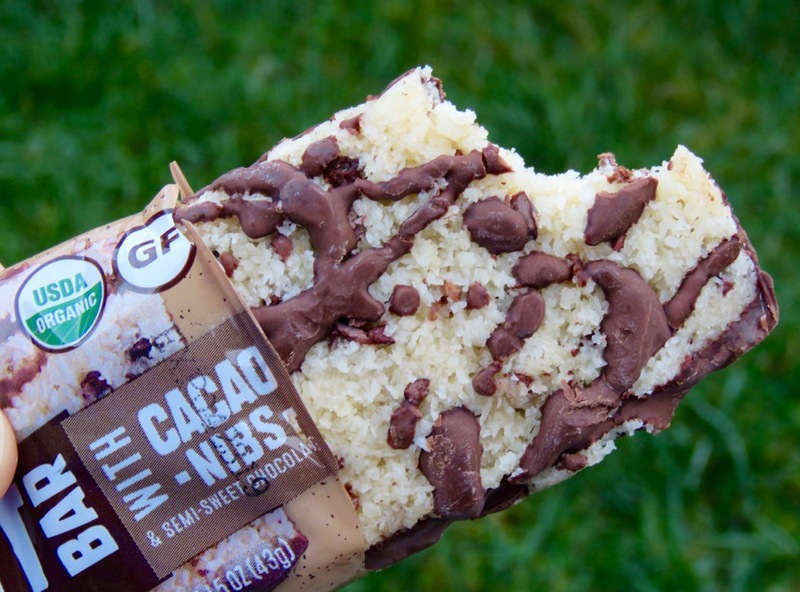 Organic cacao nibs blended in with and boosted the cacao quotient of this Coconut Bar.